One of the most ancient natural medicines known to man, with the oldest discovered written history dating back to china about 6000 years ago. According to known history it has been used as a medicine for a lot longer than it has been illegal for. Medicinal Marijuana extracted from “Cannabis sativa” was outlawed in Australia after the “reefer madness” campaign launched by the government in 1938. However since 1978 there has been on again & off again legal battles trying to decriminalize Marijuana for medical uses. Countries that have decriminalized medical Cannabis include Israel, Netherlands, Spain, Canada, Switzerland and more than twenty US states. The literal translation of the word Reiki can be broken down as follows: Re describes the universal and limitless aspect of the energy and Ki is the vital life force. Reiki belongs to that unspeakable realm of the unconscious, which is beyond our reasonable understanding and as such has an innate power parallel to no other. Fundamentally, Reiki is a method of laying on of hands. Recorded history and prehistoric cave paintings dating back some 15 thousand years show that this method of healing is nothing new. Herbs are “devided” in two types: “Warm” and “Cold” herbs – which means herbs that grow in the warm part of the year and, well, herbs that grow on the cold part of year. Use for spells, incence, in tea. You can use fresh or dried up, doesn’t matter as long as you keep a little stack at hand, you never know when you might need some. If it’s for tea, infusions or tintures – if you can – either grow your own or… buy organic from your local suppliers. 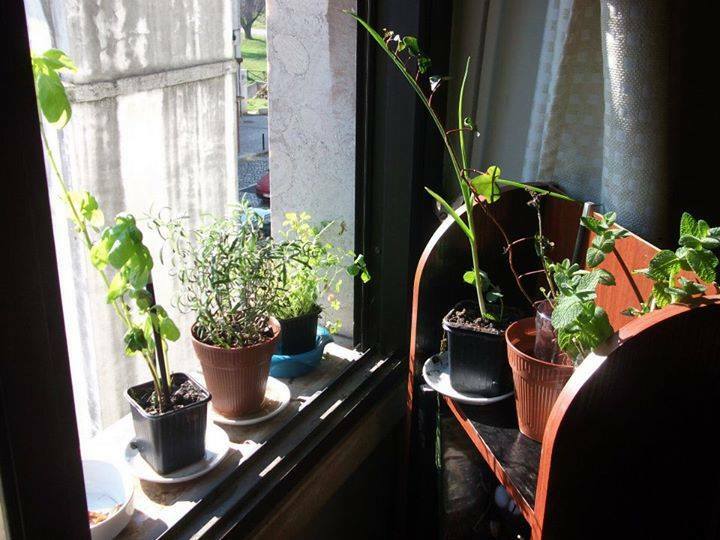 Warm Season Herbs – From early Spring to late Summer. Mystical magical mugwort the herb of protection and psychic vision. Artemisia vulgaris, sometimes known as common wormwood, felon herb, travelers herb, chrysanthemum weed and Sailors tobacco (used as a alternative to tobacco when supplies run low at sea) among others. Native to Europe, Asia, Africa and some parts of North America, this perennial plant grows one to two meters tall and is very hardy, some call it a weed. One of the most popular medicinal herbs used in Japanese and Chinese medicine for a variety of health benefits, including colds, fever, flu, headache and bowel pain. The leaves and flowers are also used to flavor food, such as meat and fish, the Japanese use mugwort to make a variety of sweets. Before the use of hops, mugwort was the favored flavor ingredient for ( dried leaves ) beer. It is an established aim of Aikido that the mind and body should be united so that a person can fully be his best self in whatever he does. The concept is that of cause and effect: The mind desires something and the physical body expresses that desire through action. Imagine a human being having two sides, the mental and the physical. The mental side is the part that thinks and directs, and the physical side is the one that acts and follows the direction.